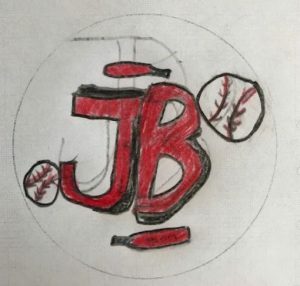 JustBats started a bat knob contest that could land you $200 and some notoriety. We thought it cool enough to share here. 1. 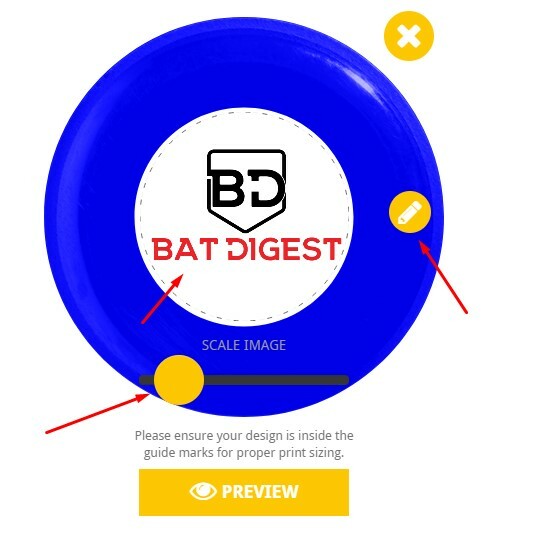 Create a custom bat knob here. 2. 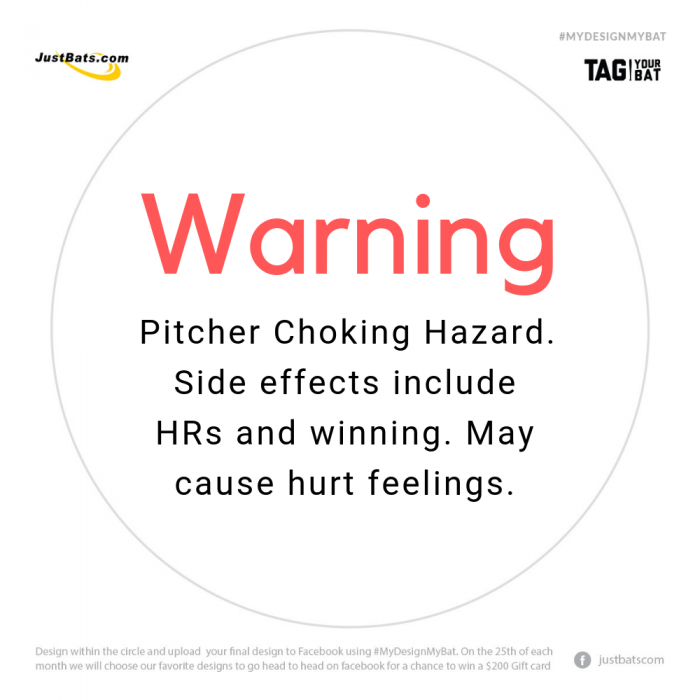 Post it to FaceBook with the tag #MyDesignMyBat. (You can also email it to JustBats). 3. Then, if JustBats decides its in the top 4 of submissions each month, you vote for it here. 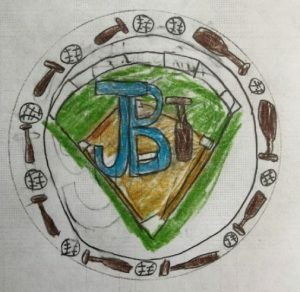 If you win the voting you get a $200 gift card to Just Bats AND other JustBats customers can put your design on their bat. Of course you can still design a custom one on their site (read about that below). 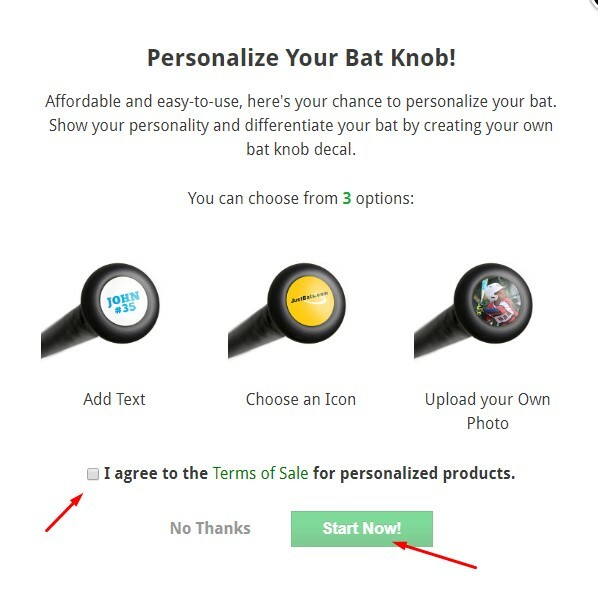 Here is Just Bats custom knob write up. We had a chance to put a custom knob on a purchased baseball bat from Justbats.com. Below is a basic tutorial walking you through the process. It is a quite simple. And, for most, we suggest you simply click around on the “Personalize Your Bat!” section until you figure it out. It is hard to mess up. Still, though, below is how we did it. Only some bats (granted, most of them), with certain types of knobs, are available for customization. See the full list. Looking for the best bat to put your logo on? Then check our best baseball bats section. The customization does a cost, but can be added on checkout. We show you those steps below. 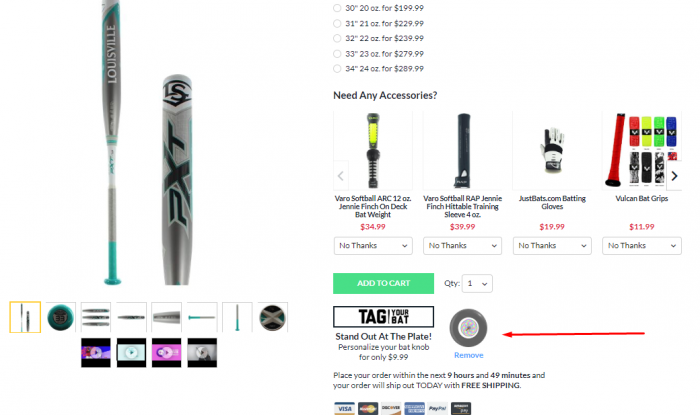 On any given bat, choose the personalize your bat option in the right hand margin (on desktop). 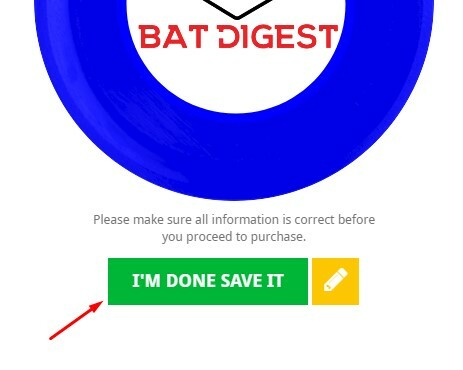 On mobile it will be found below the bat. A pop up will ask you to accept the terms and conditions. Do so by choosing the tick box and then clicking Start Now! You have three options that are otherwise simple enough to understand. 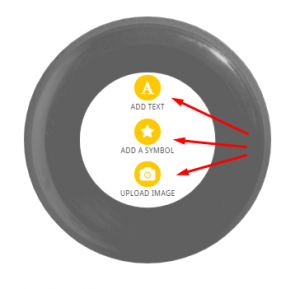 Text, Image or a symbol. On the image you are restricted as to not use trademarked images. So, don’t think you can put that Yankees logo on the end knob. But, any other type of image, like of your girlfriend or grandma (assuming those are different people), can go there. Use your computer’s file system to select the logo you want. 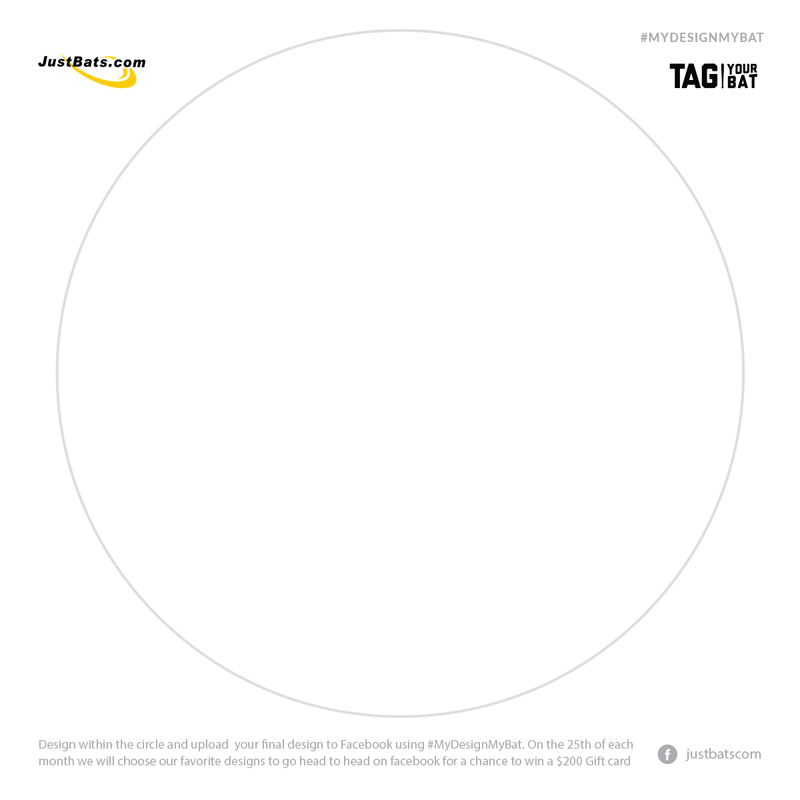 Note that white space around the image will be helpful as this is, ultimately, a circular image. Use the image tools on this next screen to scale and move the image. If you want to start over press the X, if you want to choose a different image choose the pencil. Once finished, select “preview”. Wait while the image generates. Once the image is done generating, and you like it, press the I’m Done Save It button. If you don’t like you can select the edit pencil and it will take you to the previous image editing screen. 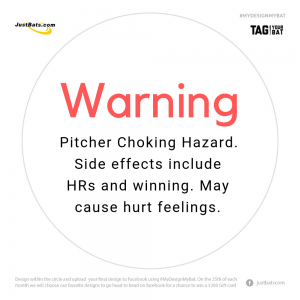 Once complete, you will see your custom knob in the tag your bat section. If you see it there then you know it worked.